You can nominate yourself or any eligible Young CA. Any ICAS CA aged 35 or under can be put forward for the competition. This includes CA students due to join membership before June 2019. The One Young CA 2019 will also be selected from the Top Young CAs nominees. Do you want to recognise a CA for the ICAS Top Young CAs 2019 competition? Are you thinking of entering yourself? We have five tips for stand-out nominations. We welcome entries from all locations, sectors and specialisms, as long as your candidate is aged 35 or under or due to be admitted to membership by 31 May 2019. Those still studying for the qualification are welcome to nominate peers who have already qualified. You do not need to be a CA yourself in order to submit a nomination. Make sure you fill out all the required fields of the entry form. You will be asked to create an ICAS.com web account if you don’t have one already. Give careful consideration to which category you are submitting your nomination under and tailor the content of your entry to make the best impression. If you are nominating yourself, you will be asked to confirm your availability for the awards ceremony and whether you also wish to be considered for the One Young CA 2019 award. The nomination form should take around 10 minutes to complete. Including a photo is also recommended, though not compulsory. Think about the reasons you want to put yourself or the Young CA in question forward. What traits have defined your development and career. Are they inspiring? Ambitious? Enthusiastic? Innovative? There is an upper word limit on the entry form, so make sure you highlight the achievements that make your nominee truly extraordinary. Use real-world examples to demonstrate how the Young CA credits the profession and make sure to tell us about the best qualities of your nominee in an authentic and positive way. You might decide to explain how they have affected you personally, to talk about how they stand out in their company or what their achievements beyond their daily role have been. If nominating yourself, think about how you use your CA skills to make a real difference to your company, a cause you are passionate about and to those around you. 5. Don't miss the deadline! Entries for the Top Young CAs 2019 close at midnight on Friday 15 March. Please make sure to submit your nominations by then and share the opportunity to celebrate Young CAs with your network. 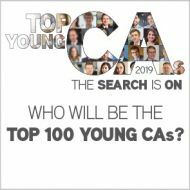 Reminder: You must be nominated as a Top Young CA in order to be considered for One Young CA 2019.